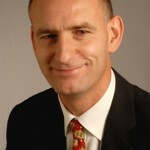 LettingFocus.com is the home of unbiased, independent residential property investment and buy to let consultancy and advice. We advise and help organisations and private landlords make a real success in the private rented sector through our consultancy service. CLICK HERE (Opens an email) to request OUR LATEST NEWSLETTER). Click Here for our Blog – the blog is the part of our site that changes every 10 days or so. Tenants-Renting-Guide.com is our site for advice and help for tenants and where you can also get our new book for tenants. Welcome! I’m David Lawrenson, author of the UK’s top selling book on property and an expert on buy to let. I’m also a media commentator, blogger and consultant on all landlord, property letting and buy to let issues in the private rented sector. At LettingFocus we advise corporate clients from a range of sectors. For financial service companies we help with the underwriting, marketing, product design and training issues around buy to let mortgages, landlord insurance and other landlord facing products. In the public sector we help housing associations and local authorities with Choice Based Lettings, Local Letting Agency Models and Private Rented Sector Access Schemes. We show them how to procure property from landlords in a cost effective way. We also work for city investors and property portals. In fact, we help any business which provides products and services in the private rented sector and to private landlords. Please click on Consulting for more information on what we do. We also still find time to give personal advice on a consultancy basis to landlords. So, whether you are an “accidental landlord”, a more experienced investor or just someone looking to buy a home for you to live in, we can help with our one to one property advice service. We give information and help on any aspect of property investing, including where to get the best mortgages, what area to buy property in, what type of property to buy, the reality of “Below Market Value” and “No Money Down Deals” and general property letting and management advice. Read the past client testimonials and then send me an email or call on 07834 081 600. Click here to find out about our next annual evening seminar and networking event. Our Property Investing and Landlords Information & Advice Quarterly Newsletters for corporate and personal customers and for journalists are still free. To get it just send me an email to go on our newsletter list. (We do not send spam or unsolicited advertising.) To find out about a few offers we have negotiated for landlords visit our landlords’ links page. 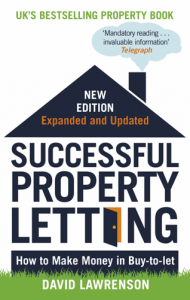 Our property book – “Successful Property Letting – How to Make Money in Buy to Let” – has been the top selling UK property book for 15 years and has sold 106,500 copies, easily outselling all the “TV Property Celebrities” titles. In 2016, I published two more books. One is a new book for landlords and it focuses entirely and in detail on the business of how to find great tenants. It is called, “Landlords’ Guide to Finding Great Tenants”. The other book is for tenants and is called, “Tenants’ Guide to Successful Renting” – both books are available in paperback as well as in E Pub and Kindle formats. See where LettingFocus has been featured in the media. Read more material, tips and more “up to the minute” media comment at the landlords’ blog. Recent blogs have looked at HMO and multi let properties, housing benefit, buy to let mortgages, where to buy investment property, letting agent fees, “Build to Let”, tenancy deposits, property lease options, buying property at auctions, property inventories, letting agents, landlord insurance for let property and the new underwriting rules for the buy to let mortgage market. Read more at the landlords’ blog. To find out more about my book, my work as a property author and how we can work for you, please send me an email. I’m a frequent and outspoken property commentator and speaker on property in the press, on TV and for companies and trade associations, well recognised as a critic of the “black hats” operating in the mainly unregulated buy to let and property investing business. I have also criticised government policy towards the PRS and the poor lending practices of some mortgage companies in the buy to let sector. If you are from the media and you would like a comment from me, please feel free to send me an email or call on 07834 081600. Follow us at Twitter. If you have a web site for landlords, buy to let or investment property you can link to us here or to the landlords’ blog.